Guys - the sun is shining (a lot more anyway) which means it's Spring jacket weather and I couldn't be happier about it! I love me a cosy camel coat during the cooler months but nothing makes me more excited for Spring-like-weather than knowing it's lightweight jacket season finally. 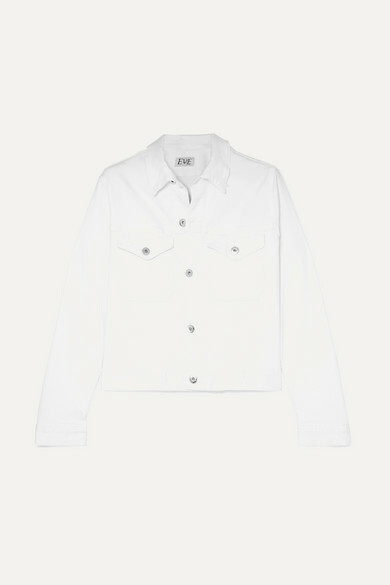 Being able to step outside your front door in your favourite bomber, blazer or trench without having to layer yourself into oblivion and feel as though your channelling your inner Marshmallow Man, a la Ghostbusters, is a feeling I genuinely crave when I know blue skies are just around the corner. It's been a little while since I did an edit of some of my favourite outerwear so I figured if the sun could grace us with her presence, the least I could do is dress the part! Here are the best of the best, the crème de la crème of the Spring layers you could add to your wardrobe and your shoulders, this Spring season. The above items (excepting the jumpsuit) were kindly loaned and gifted for MFW. 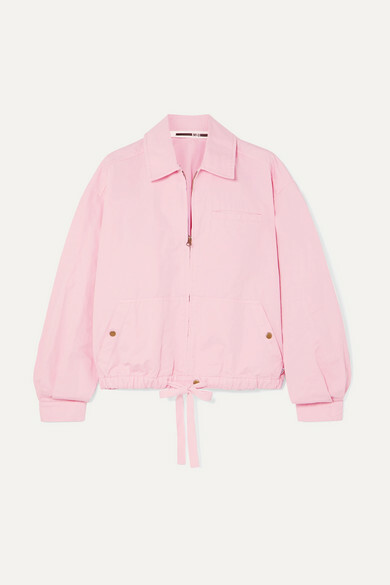 A personal favourite for Spring is always a bomber jacket for me but for 2019 things are looking a little different. Not only are the usual canvas materials back in the stores, they're being upgraded to leathers, satins and silks - the kind of materials that mean the classic bomber can be worn 'out out' now, not just for a weekend brunch! You'll find them in beautiful ice cream shades for Spring but if you're feeling brave then sunshine yellow is my pick! You're probably totally over seeing me in biker jackets but I can hazard a guess I'll still be wearing the style when I'm in my 60's haha! This year it seems to be a little more about the earthy/natural shades though as opposed to the classic black leather biker we're all so used to. 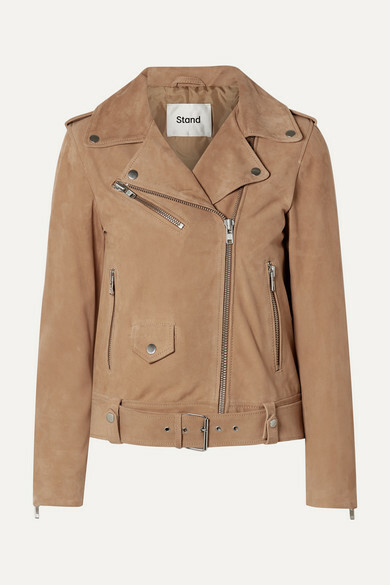 So if you're looking to upgrade your evergreen biker then tans, khakis and sands are very much on trend and tie in with the SS19 utility trend perfectly. The most versatile of the Spring jackets will always be the blazer. If you're looking for layers that can bring your wardrobe into the newest season while taking you from breakfast meetings, to office wear and then all the way through to after work drinks, then look no further. You'll be seeing every form of check possible from now until AW19, so a prince of wales check is a great investment style to add to your shopping basket. 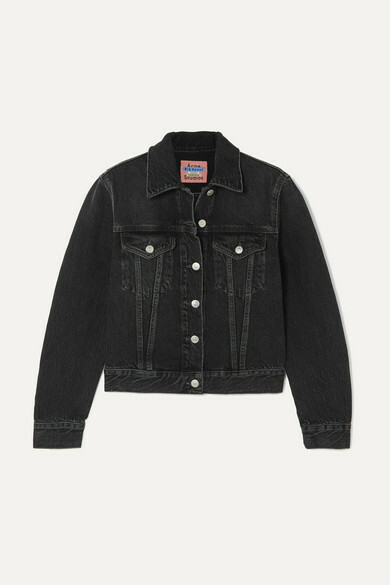 My wardrobe will never be without a denim jacket and 2019 will be no exception. 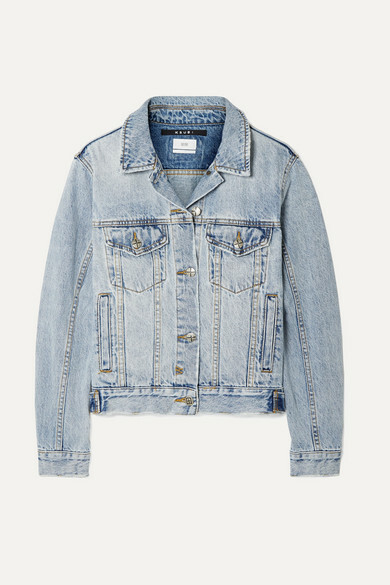 My vintage Levi styles will always see the light of day when the sun starts shining but this season denim jackets are definitely looking oversized, cropped or both! Go with classic blue to add a constant to your closet or be brave and add some trend led colours like fiesta red or military green into the mix. And if a lightweight, belted mac doesn't scream that Spring has sprung, I'm not quite sure what does? My Burberry trench always finds the light of day around the month of April and this year I think adding a checkered version will be just as necessary as classic beige. 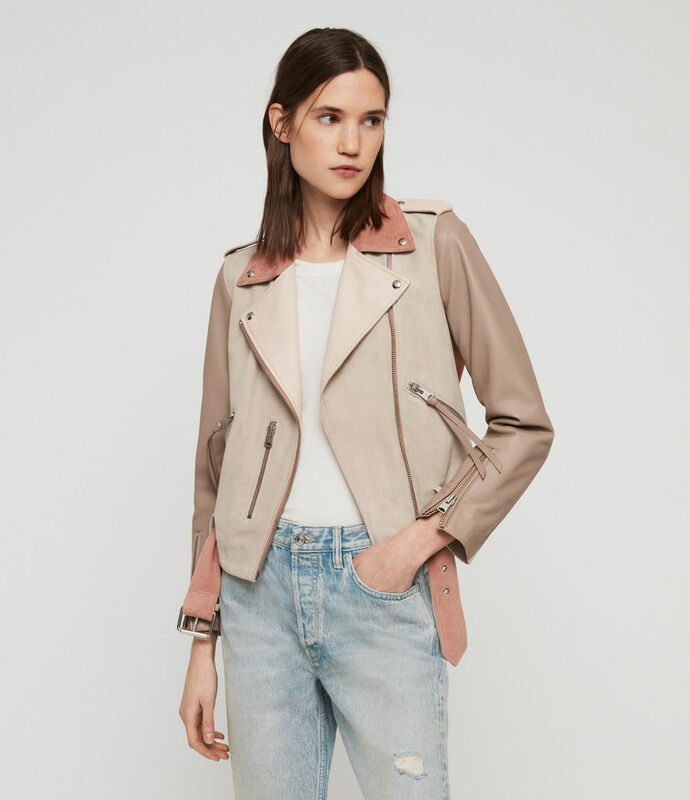 A definite nod to the 80's trend this year but a trend that never really dies and always finds it's way back into my jacket rotation every Spring. Let me know if you're as excited as I am about the warmer weather and if you've been adding to and organising your Spring wardrobe too!